Listed below are Pets & supplies items for you to car boot sale online here that you will find available in Birmingham. If you cannot find the Pets & supplies items that you are looking for in Birmingham you can add your wanted item to let sellers contact you if they have any Pets & supplies items available for you. You can keep your contact information confidential. Enter only an email address in your car boot sale ad to receive offers into your account on our system. We will remind you automatically when new offers arrive for you. To offer your items for sale on this online car boot sale in Birmingham simply click Post free ads for Pets & supplies link below or the button Post free ad in top right corner of this page. It is fast, easy and free to post an ad in 2lazy2boot. It will take you just few minutes to have the ad seen on our listings. You can then edit your ads any time by clicking “Member area" button on top right corner of this page. beautiful full pedigree vet checked big boned chunky dog de Bordeaux puppies for sale we have this amazing litter from our girl lickle princess diamond who is fully health checked She is our family pet a lovely looking Ddb With perfect nature , SIRE is lockerice Charlie of popcco a very large male massively boned and correct he's shown since being 6 months old and has crufts qualified every year this lovely boy is health checked and has a PERFECT hip score of 0/0. 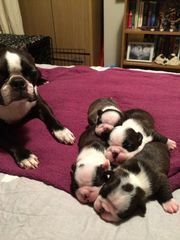 Only 1 boy and 1 girl avalible beautiful Boston Terriers puppies for sale, two boys and two girls. 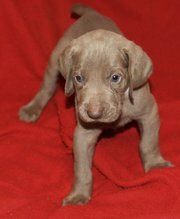 They are fully Kc Registered and are from an experienced breeder. Mum and Dad can bee seen, as are loved family pets. 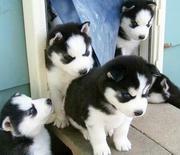 The puppies are all black and white with beautiful markings. They will be vet checked and wormed and are JHC clear. U K C Register Pure Black Scottish Terrier Puppies For Sale. K C Register Pure Black Scottish Terrier Puppies For Sale.All our puppies are raised indoors and begun on potty training. Puppies will be up to date on shots and DE-worming before leaving to their forever home. They have a 1yr genetic guarantee against genetic defects.. Cute and loving Yorkie puppies for adoption. I have two loving Yorkie puppies to give out for adoption.beautiful Baby face Male And Female Yorkie puppies for adoption This beautiful Baby face Yorkie 11weeks old are Ready For New Home to anyone ready to re home with be ready take excellent care and shows the puppies with lots of care peace and harmony with your family. 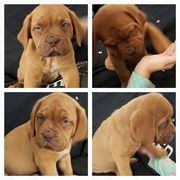 looking to buy a puppy 8 weeks old must be a girl must be in the birmingham area. The Serval adult male stand up to 20 inches at the shoulders and weigh around 40 pounds. The Serval is a secretive medium-sized cat, constantly searching for prey. Although not extremely powerful, the Serval takes advantage of its quickness and body weight. Servals are playful, inquisitive, intelligent, and affectionate although sometimes aloof. They are 100% purebred and have all their registration documents, health certificate and we also give a one year health guarantee. They are current on their shots and have been dewormed. When you take one home you will also get a free vet check up and a puppy kit. If you are interested in one of my babies send us an email. We do have Piebald and Albino Ball Pythons available and ready to go to any home that is willing to provide the best for them.They are well trained, easy to handle. come along with all accessories and will be able to go to any body willing to take good care of them. My Snakes have never bit or showed aggression towards any one. 12week beautiful fawn pug for kids. 12week beautiful fawn pug for kids.do contact me at my webs site for more info. http:www.hometrainedpug.webs.com. round corners, made of acrylic, looks absolutely great, been used for marine but now cleaned properly so you can use it for any setup you like, comes with white and blue lights in the lid, some accessories provided in the price, filter with media, might be able to find a heater too. Will let it all go for 50£ best seen than to talk about it. Hello we have two cute home trained Baby Face Capuchin Monkeys available for adoption.They are both raised in my home and hand fed by my wife and i . We spoil and give them the most excellent attention. They are all ready to leave and they are very healthy, diaper trained and tamed and very good eaters. capuchin monkeys for adoption We will always be available to help you with any questions or concerns you have about your new family member.we are licensed by FWC and USDA # 58-C-0418.We are seeking a new and permanent home for our monkeys.they are vet checked, potty, diaper, bottle and crate trained.they are very socialized, got very warm temperaments and are playmate for kids and adults. Beautiful Bengal kittens, born Feb/19. Will be 8 weeks old April/15.1 Marbled Black/sliver female.3 brown/black spotted males. Will be vet checked, health cert., wormed, up to date shots. Please email us at (jessica.mainz@gmail.com). Registered Male And Female Maltese Puppies For Sale. Jack Frost is a Tiny Male Maltese, He is Fun loving and Fluffy! We expect him to weigh in the 3lb range full grown. He is adorable to watch and hold. We will have him up to date on his puppy shots and wormings..
Bichon Frise is sensitive, responsive, affectionate, and abundantly playful. It is a perky, jumpy, happy dog that loves companionship and is happy to cuddle up. Bichon Frises have an easy, happy disposition..
Well here you go. Good luck with your on line car boot sale in Birmingham. We hope you have some success and find buyers/sellers that you are looking for in Pets & supplies . Don’ t forget to comment any successes in selling your Pets & supplies items in Birmingham to our valuation window and report forum! We are sure you will find many people in Birmingham looking for your Pets & supplies. Birmingham car boot sale. Pets & supplies for sale ads on online car boot sale in Birmingham, second hand Pets & supplies for sale in Birmingham, Pets & supplies ads for free in Birmingham, 2lazy2boot - Birmingham car boot fairs.